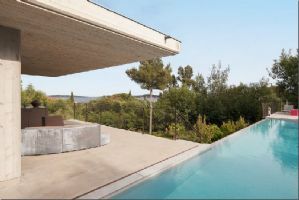 France's south-eastern region of Provence (Provence-Alpes-Côte d'Azur Property Guide) needs no introduction, being the most popular destination in the country after the capital, and home to the fabulous Riviera coast (French Riviera Property - an insider's guide). Property here can be expensive, unsurprisingly, but as a location it is unbeatable, with impossibly beautiful land and seascapes, glorious mediaeval villages and a countryside laden with lavender, olive groves and vineyards (Coastal Provence - Land of the Rich and Famous). Ryanair currently, in 2016, flies to Marseille in the south-east of France. 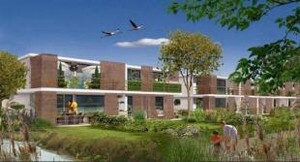 Below you will find property hotspots that are found close by, as well as property currently for sale there. Marseille (Marseille Property Guide) is, of course, the capital of the south, and a real city in every sense of the word. It has its upmarket areas and its downmarket areas, as does any large city, but for those who love it, there is no place to rival Marseille. It is set on the glorious Mediterranean coast and is a melting pot of nationalities and cultures, its bustling attitude giving it a buzz that can be addictive. Ryanair flights leave for Marseille from London Stansted. A good location for property near to Marseille airport is the elegant and highly desirable old town of Aix en Provence (Aix En Provence Property Guide), which will appeal to anyone with a taste for fine living and beauty. Meanwhile Salin de Giraud is in the unique wetlands of the Camargue area. The Camargue is a land of marshes, of black bulls, white horses and wading birds, rich in tradition and never less than fascinating. Toulon (Toulon Property Guide), city of the sea and city of rugby, is beautifully placed in the centre of the Provençal coast, and on the edge of the coveted Riviera strip. The bustling port is always a focal point, with its cheerful marina, naval port and ferries leaving for the islands of Corsica (Property in Corsica) and Sardinia. The city itself has great beauty and charm, with history, heritage, culture and all the usual modern conveniences and pleasures such as service industries, shopping and dining. When it comes to seaside towns, the ultimate Mediterranean destination really has to be Saint Tropez (Saint Tropez Property Guide). Glamour and glitz to its very heart, Saint Tropez has perhaps passed its finest days perhaps, but remains a fantastic, still fashionable town with a unique ambience. Another good property location is the delightful village of Le Castellet, full of Provençal character and sitting in delightful surroundings. Pine forests provide cooling shade while the summer months resound to the chirping of the cicadas. Just visible from the village is the azure blue sea of the seaside town of Bandol (Bandol Property Guide), one of the Côte-d'Azur's most favoured spots, just a short drive away for great seaside days out. Fayence is another wonderful village, steeped in Provencal style and heritage. Its tiny maze like streets, crumbling castle and clock tower are just some of the charms you will discover in Fayence (Fayence Property Guide).